Is CBD oil (cannabidiol) effective and safe? Is it legal? Although CBD is not psychoactive, it is not permitted to be sold an ingredient in dietary supplements, as the FDA considers it an investigational new drug. (Note: If an ingredient is marketed as a supplement prior to the FDA authorizing its investigation as a drug, it may continue to be marketed as a supplement, but this was not the case with CBD, according to the FDA). Two conditions for which CBD has been or is being investigated as a new drug are cancer pain and, as noted above, Dravet syndrome (view a list here of completed, ongoing, and planned studies with cannabidiol). In Canada, cannabidiol is a controlled substance. 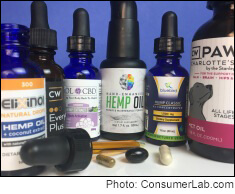 At least one seller of CBD supplements to the public, PlusCBD LTD, appears to claim that is not illegal to sell these products if they are derived from "industrial" or "agricultural" hemp. Industrial hemp is typically a larger plant with more stalk and less leaves and flowers than that used to produce marijuana or CBD for medical use. It is grown for its fiber (for textiles) and seeds (as food and oil), which would be very low in THC (less than 0.3%) and CBD. It is true that the U.S. Drug Enforcement Agency (DEA) has stated that CBD in trace amounts from cannabis stalk or seeds is not a controlled substance, in contrast to CBD derived from cannabis flower which is a controlled substance -- despite the compound being the same. However, this does not seem to override the FDA's position that CBD cannot be sold as dietary supplement. It would also seem difficult to obtain large quantities of CBD from industrial hemp or cannabis stalk. CBD can cause side effects and interact with certain medications and conditions, although these effects have typically been reported only with very high daily intake, i.e., hundreds of milligrams daily. High daily doses of CBD (20 mg per kg of body weight, i.e., hundreds of milligrams) may cause decreased appetite, diarrhea, vomiting, fatigue, fever, somnolence, and abnormal results on liver-function tests (Devinsky, New Eng J Med 2017; Thiele, Lancet 2018). CBD at a dose of 300 mg has been shown to worsen symptoms of Parkinson's disease (Consroe, Int J Neurosci, 1986). CBD should be used with caution with sedative and sleep-inducing medications, as it may enhance their effects. I was recently encouraged by a medical professional (MD) to buy "nano-enhanced hemp oil" from PrimeMyBody (10785 West Twain Ave, Suite 102,Las Vegas, Nevada) at $150.00 for a 50 mL bottle (1.7 fl. oz), because it would "boost the health of my body's Endocannabinoid System." The recommended serving on the bottle is 2 mL which provides 24 mg of Hemp Extract (stems & stalks) and 16 mg of "Active Diols." ($6.25 per serving) Apparently, the hemp oil is encapsulated in phospholipids, to provide "rapid uptake and unparalleled bioavailability." The label recommends taking 1 serving (4 pumps of the bottle) on an empty stomach 10 minutes before a meal ... which seems the opposite of most of ConsumerLab's advice. I bought a bottle, but now strongly suspect that I was robbed, hood-winked and too trusting. Could you please test and review this product? Have there been any reports of individuals getting "high" with large doses of CBD? Could you test Endoca CBD oil, 1500 mg of CBD. The alarming thing about the results on the FDA website indicate 90 percent of the products have no more than a trace of what they claim. Is it either ignorance of how to process the material or outright fraud? Hi Arch - It is true that the FDA found some products contained very little of the claimed CBD, but this was not as high as 90%, as you state. Please test and review CBD Oil from therawfoodworld.com. They sell 250mg; 300mg with cinnamon; 500mg w/peppermint; 500mg w/orange; 1000mg; 5000mg; 2500mg; 120mg for animals (dogs, horses, etc. ); 120mg w/catnip for cats; liposomal nano-CBD spray 250mg. The brand is The Raw Food World brand. I'm 87 years old and have been using CBD oil (less than .03% THC) since August this year. I have significant relief from pain and fatigue at a cost I can afford. I found Lazarus Naturals to be the least expensive. More and more people are trying this helpful supplement and it's making the pharmaceutical companies nervous. There are so many companies jumping on this CBD oil bandwagon, that people don't know what to buy, or if they should. There is a lot of information available on Google. I'm glad ConsumerLab is testing, and I hope they aren't over-influenced by the FDA. I no longer trust the FDA. I hope you will test Lazarus Naturals CBD oils, and Elixinol CBD oils. The Lazarus Naturals works well for me for severe arthritis in my back and hips. I like the fact that they post their independent lab results for each batch. I wish all CBD oil companies would do that. I hope you will be testing CW Simply, both the oil and capsules. On warning list just because of health claims. Could you test HempMyPet. Hemp Extract, tinture 250 mg? Please add The Stanley Brother's "Charlotte's Web Everyday Advanced 5000" CBD or hemp extract for analysis. They have a batch analysis performed on all of their products. I use Charlotte's Web pet formulation CBD oil with a cockatoo parrot who has suffered for years from a self mutilation anxiety neurologic anxiety thrashing syndrome so severe he had to have both wings amputated. Many medication protocols were tried and nothing made much of a difference. It was awful for him. When I adopted him, my avian veterinarian suggested I try giving him CBD oil, which I get from Charlottes Web, and it has completely transformed him. He is a whole different bird, capapble of relaxing and being affectionate and enjoying his life I am happy beyond words that CBD is available to help this parrot - nothing else helped him. This parrot has been getting CBD for about 6 months now and it continues to be very effective . I had his bloodwork checked recently - no signs of liver or kidney side effects. Hi Carol - Yes, we will be testing products claiming to contain CBD. Stay tuned. Could you test â€œCBD for Life?â€� It is sold on The Grommet website. I use the rubs for severe spinal stenosis and arthritis. My doctor says Young Liiving's Copaiba oil has a higher concentration of pain relief. What I don't understand is how it can illegal, yet sold nearly everywhere, at the same time? It is illegal and legal at the same time? Hi Matt - Some of the CBD products being sold are not legally permitted to be sold and the FDA has sent Warning Letters to several companies, as noted above. Would you please include Cannalife CBD Tincture in your study? A kind, generous friend gave my wife a bottle to help with her RA symptoms while we were vacationing in Canada. She will not use it until we find out if it is legal to possess and her doctors give her the go ahead, but we would be interested in the test results. Can you please test primemybody CBD oil? I have been a Consumerlab member for years. You are great! Thank you, Jerry. We will consider that. We have received many suggestions this week of products. I bought some CBD oil from a quality pet store to try on our senior Chihuahua. He has arthritis and a bad heart murmur. At first it really seemed to help with his pain and he was much more mobile. After a few weeks he started getting more lethargic and not eating. I did some research and discovered it should not be given along with any medications that are metabolized by the liver. It causes these meds to build up in the body so he was exhibiting symptoms of overdose of his heart medications. I stopped the CBD oil and he got started eating and seemed to feel better. Give with caution if your pet is on other meds. To my knowledge hemp oil, is not made from hemp seeds. You can read the manufacturer's claims. I'm 87 and found the CBD oil does relieve my aches and pains, and clears my mind. The results aren't like prescription drugs; they aren't usually immediate. People have differing results. There are recommendations for the amount to take and you are wise to heed them. I use Blubird Botanicals and ran out a couple days ago, and I can definitely feel the difference. I expect a new order tomorrow. For me, the expense is worth it. There are several online sites where you can receive much information. Beware of the Pure Natural brand. It offers a free trial, but in the small print you are signing up for a monthly supply at full cost. The BBB has a report on this. Thank you for your comment, Elizabeth. Please note that hemp oil may be made with hemp seeds or other parts of the plant. Commonly hempseed oil is called hemp oil. Yes, you are right, and the manufacturer should tell you how the CBD is made. I meant to say that CBD oil isn't made from the seeds, from what I've read. I am an acupuncturist in California. I am being ask about CBD frequently now. This is what one of my clients had to say about it. (used by permission). "I started taking some of the CBD oil through a company called Charlottes Web. I bought it at the Remedy Pharmacy in Torrance on Hawthorne Boulevard, but you can also order online. I didn't have incredible overnight success with it like the women at the seminar we went to did, but I am having less pain and sleeping better. I don't know if it's a true change or just placebo effect, but I'll take it either way :-)"
my friend has the same pain and they found a blockage in an artery that he was operated on last week. ivcs iliac vein compression syndrome. or maybe may thurner syndrome. I have been using Plis CBD Oil 15 mg.for about a year for fibromyalgia pain. It is some help. I have ordered Liberty Lixir from Liberty Lotion because other fm sufferers have raved about it. 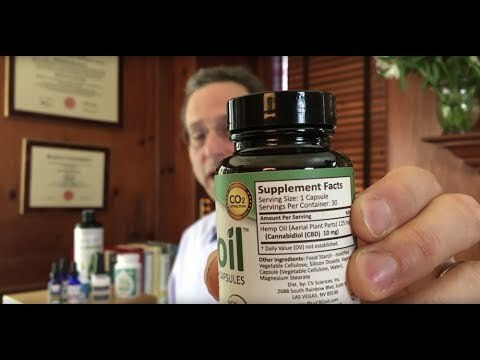 I have been using KOI CBD oil for the last month, 1,000 mg twice a day under my tongue for nerve pain in my colon after many years of constipation, but after a month I am having no results. Anyone used this product before? I gave my mother cannabis oil for her lymphoma and a lung tumor -- one dropper a day under the tongue. Her tumor did not grow and she had better capability with her ADLs. The FDA is protecting money interests of Big Pharm, and until they can corner the product for that purpose, they will continue imposing mandates on legal sales. I have been giving CBD dog cookies to my dogs with impending thunder storms and fireworks. It has transformed terrified animals into calm and relaxed pets. Something seems to be working on their anxiety. I have no financial interest. I do buy the products from a Vet. You might want to look into a product for pets called the ThunderShirt, designed for just such a purpose. Should be available at most pet stores near you, and online. Thank you. We will look into this product. Thundershirts have a great reputation but not all animals will tolerate them. We tried them on our cats. One accepted it and calmed down. The other one freaked out. thunder shirts did not work on my two mini schnausers , nor my german shephard. If they were still with us , I would certainly try it for them. I'd like to see Consumerlab do a thorough review of the various CBD oils out there. Looking around on the internet for genuine info on this is frustrating to say the least. Thank you for your suggestion Renee. We are considering testing such products. CBD oil is legally sold in Texas, as long as it contains no THC. Although the product may be for sale, it's actually not legal to sell CBD oil in any state, other than from approved dispensaries, as noted in our main answer above. Hemp oil (which contains little CBD) is legal to sell. Although I am not a fan of the FDA (reasons for which would turn this comment into a book) but nonetheless I'm glad they tested some of these CBD products and came down on the manufacturers. Extracting organic CBD oil in a pure manner is not a cheap process but there are a lot of sites selling relatively inexpensive CBD oil products. There are just too many manufacturers and 3rd parry suppliers jumping on the CBD bandwagon and unfortunately the majority of them are just looking to make a quick buck. There are a few sites that offer a lot of CBD information and that makes them look more legitimate, but even one of those I question as they're forever adding new products and offering discounts; in addition their customer service was great when they offered their first product but they've since concentrated on new products and discount pricing to the point that customer service is now far below expectations. There is only one site that I completely trust; for their information, product and customer service. With CBD products, it is definitely a case of Cave at Emptor!. I wish that the FDA would test each and every CBD product and display the result for the public; perhaps we'd rid the internet of fraudulent CBD sellers once and for all. â€¢ On average, 13 percent of the members in any given committee had financial interest in the company whose drug was up for a review by that committee. â€¢ About one-third of financial interests involved consulting for a drug maker; 25 percent involved ownership interest; 14 percent involved serving on an industry advisory board or steering committee. â€¢ Committee members with financial ties to the company sponsoring the drug under review voted in favour of approval 63 percent of the time, while members who did not have financial ties had a 52 percent chance of favouring approval. â€¢ Committee members who served on a sponsoring firm's advisory board had a whopping 84 percent chance of voting in favour of the drug's approval. â€¢ Committee members with financial ties to several competing drug firms did not, on average, show pro-industry bias in their voting behaviour. I've recently been researching about and have used CBD oils in various forms. It helps my anxiety, I just feel calmer in general. It also takes the edge off my pains and muscle spasms and apparently I am sleeping better because I am dreaming again. I have not dreamed in a several years. All of this relief without feeling high. Wifey and i started a daily cbd regime 20 days ago. We take our daily sublingual gel dose prophylactically and have no particular health issues other than mild hip arthritis. It's a very expensive product delivered in easily dispensed plastic syringes. Although some folks have reported a side effect of sleepiness, i seem to have experienced the opposite. The 3pm daily naps i've taken for years are no longer necessary. It's weird ! I can't assign the nap-skipping to anything else i'm doing and don't notice any perceivable energy surge or alertness. Is it the cbd? Who knows. FYI - My son's primary care physician, who is an MD with additional training in Functional medicine, sells and prescribes a brand called Colorado Hemp Oil. It is very expensive but my son finds it works really well for his anxiety. Not a cure but he definitely finds helps. Hope you find this helpful. I use that as well. I get if from my dentist and the company that sells it is Quicksilver. Hello, I'm not understanding this. I'm looking for CBD products and went to the FDA page you link to that has the list of products/companies they sent warning letters to. I then tried a few of those companies and it appears they still have the products for sale. Can anyone explain what's going on with this? Thanks. Hi Bob - It is possible that those companies either resolved the issues or ignored the warnings, in which case they risk legal action. I use that as well. It only has 12 mg of cbd oil in 2 ml. That is a small amount for a high price. Not sure how much to use and how often! Looking forward to CL results!!!! I use Waayb. I get it locally. It has 15 mg of cbd per DROP! I have ti use 3 drops for it to work for my pain but it makes me very high! I'd really like ConsumerLabs to test this product. Its very expensive- $280 for a 10 mil bottle. This CL Answer initially posted on 11/7/2016. Last updated 11/16/2018.